The Tall Ships Races and Regattas have really grown in popularity since the first event in 1956. More and more people want to get involved every year. This means that the European calendar for maritime festivals and the international Tall Ships fleet books up fast. This is where the Endorsed Events Scheme can help. A group of Class A Tall Ships owners and operators in Europe came up with the idea. They predicted an increasing possibility of clashing dates and thought everyone could benefit from coordinating the Tall Ships events. So, they asked Sail Training International to help. 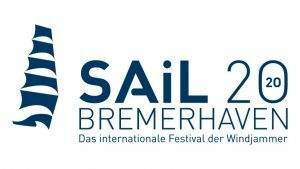 In 2002, we held informal discussions with the organisers of the International Festival of the Sea (Portsmouth, UK), Sail Bremerhaven (Germany), and Sail Amsterdam (the Netherlands). We discussed the proposed dates for 2005… and we all modified our events to fit around each other. As a result, we came up with a programme of events that didn’t clash. Today, we’re continuing to develop the Endorsed Events Scheme by building more formal relationships with event organisers. The Endorsed Events Scheme encourages international cooperation and mutual support. As part of the scheme, we promote other events in our publications, conferences and publicity materials. 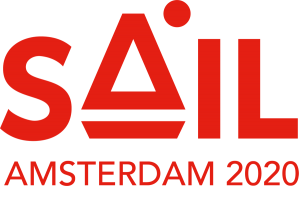 They can attend and promote their events at the Sail Training International Annual International Conference (including free exhibition booth space). We’ll include the event on our websites and provide editorial coverage. We’ll offer opportunities in other promotional materials. Once we’ve accepted an event into the scheme, we won’t include any competitors in terms of dates or sea areas. Recognise that their event is “Endorsed by Sail Training International” in publicity and related materials. Provide booth space at their event, if required. Give us access to promotional opportunities to let people know about sail training. Where and when the planned event is to take place. Is it a one-off or a series? If there will be a charge for the public. The number of visitors expected. Who is organising the event, and who is underwriting its costs? How many and what type of vessels are expected to participate? What arrangements will be made for the berthing of the Class A Tall Ships. What about public access and opportunities for the vessels to earn money in port?